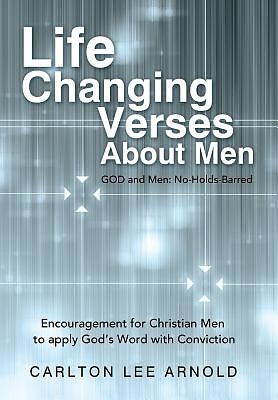 Life-Changing Verses about Men is not your typical devotional book. It attempts to answer the question, "How does the Bible describe a real Christian man?" Its objective is to enable Christians to personally apply specific Bible verses to their personal lives. At the same time, you will learn more about your Bible as well as receive an in-depth discussion of the verses selected. You may find yourself greatly challenged with Life-Changing Verses about Men. The objective is to encourage you to become more Christlike in your living. Through reading Life-Changing Verses about Men, you will become very familiar with God's story in the Bible. "This is a great book to have with you when you have a few minutes. It reduces some of your favorite verses into bite-sized chunks that you can absorb. Your life would be better if you took five minutes to read one chapter a day."